Across all Asia Tatler regions, T. Dining Philippines is the first to introduce a Hall Of Fame awards category. Congratulations to Antonio's! Before we launch into the untouchable brilliance that has firmly placed this deserving Hall of Famer front and centre in the nation’s collective culinary conscience, let us note that this is the very first time that Philippine Tatler T.Dining has conferred such a prestigious award, thus setting the gold standard for years to come. A first-time recipient of the T.Dining Hall of Fame accolade must have been a frequent Best of the Best awardee and multiple-time Top 20 placer in the Best Restaurants Guide through the years. Year after year Antonio's has been a consistent favourite for locals and tourists alike. Its charm, quality and gastronomic prowess has cemented its place in the Hall Of Fame. 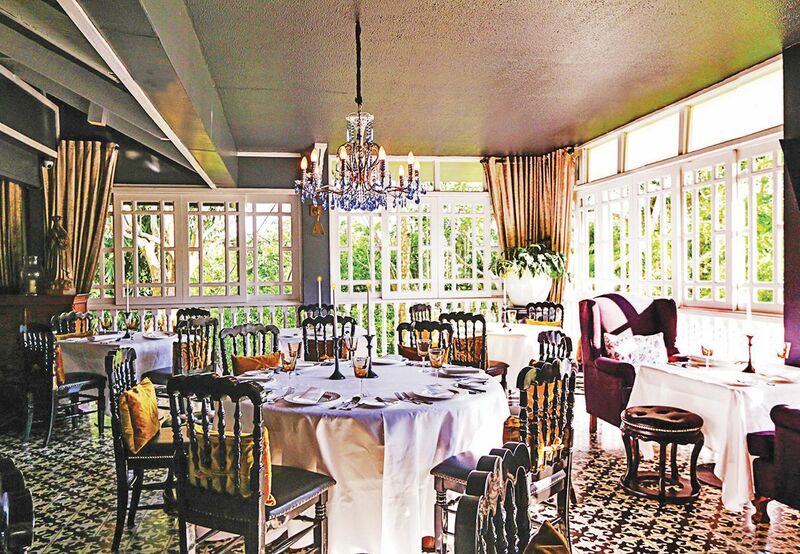 Antonio’s is a fine dining destination gem; a revived old colonial-styled mansion set amidst a lush oasis away from frenetic Manila to give its diners a compelling sense of being in another time and part of the world. From civilised start to finish, commencing with apéritifs and/or ending with digestifs at the Lanai Lounge garden, the acclaimed chef-owner Antonio “Tony Boy” Escalante, masterfully realises this exceptional gastronomical experience through a classic bill of fare paired with a well-curated wine list. Definitely worth the long drive, Antonio’s is arguably one of the best (and perhaps most memorable) meals you’ll get in the country.